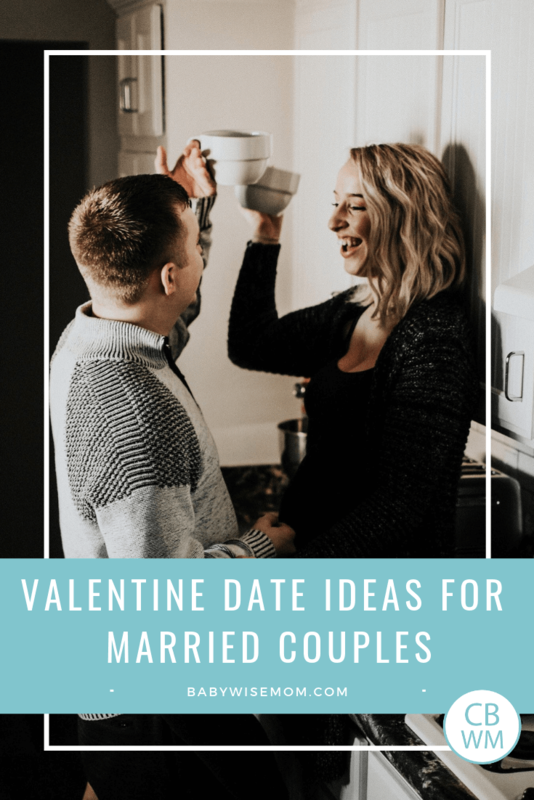 Valentines Date Ideas for Married Couples. Date night ideas and day date ideas. Go out or stay home, you can make Valentine’s special. I have never really been one to use a babysitter for my children other than family. This has always been fine until you get to Valentine’s Day. You can’t really ask your parents to watch your kids so you can go out on Valentine’s Day because they want to go out on Valentine’s Day! Because of this, we spent about the first decade our marriage celebrating Valentine’s Day at home. It felt kind of lame at times, but there were also a lot of fun, creative moments that came from it. Doing a date night in can be just as fun as going out if you put some intention behind it. One year, about a decade into parenting, my Dad had to work Valentine’s night so my mom watched our children and we actually went out on the day. It was so exciting! We were going to go out and celebrate with the rest of the world! It was a madhouse! I quickly saw we had been missing absolutely nothing by being home for Valentine’s Day. The waiters and waitresses were (understandably) frazzled and rushed. The restaurant had added tables and packed them as closely together as possible so they could fit as many couples as possible in the room. You couldn’t avoid overhearing other conversations around you. We felt rushed to be as fast as possible so the next happy couple could come sit and scarf their meal as quickly as possible…it just wasn’t the romantic experience you hope to get on Valentine’s Day. Since then, we stay home Valentines Day evening even now that we have a child old enough to watch the other children. 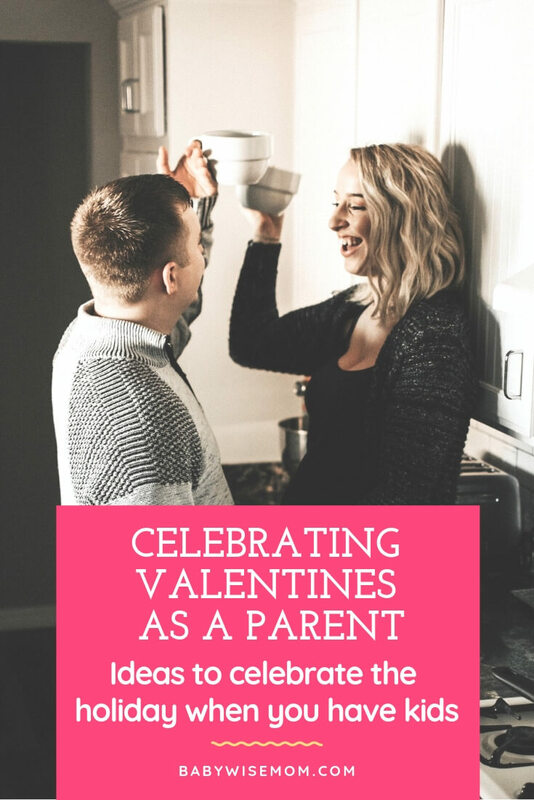 Here are some fun traditions we have found to celebrate Valentine’s Day as a married couple with kids. It might be difficult to find someone to watch your kids Valentine’s night, but you might have more luck during the day. Even if you will hire people who aren’t your parents, Valentine’s is often on a school night, so it can be hard to hire a teenager and go out late. You can get a sitter and go out during the day for a date. You could swap babysitting with a friend even! One go out in the morning and one the afternoon. You can do lunch, go to a movie, go bowling, or have an outdoor adventure. Find something you both enjoy and go do it together. A great bonus is you can beat the crowds! To make this special beyond the average day date out, think back to what you liked to do while you were dating. You could even take it up a whole level and not go run those few errands on your way home (but hey, you are parents now. There is nothing wrong with acting like them). Conversely, you can start new traditions together. Take a class and learn something new. Try a new sport or hobby. Plan a date night in. Put the kids to bed and have a date. We always like to feed our kids their own dinner and then have a special dinner for just the two of us. We often do a candlelit dinner just to make it more romantic and special. Have a night in and enjoy each other’s company. We have often made a fancy dessert to enjoy together to help make the day special and unique. You can get a movie you have always wanted to watch and do a movie night. You can break out your wedding video and watch that. You can review the love letters you wrote to each other when you were dating and look through old photos. Talk about when you first met and what your first impressions were. Sing or dance together. Whatever you enjoy, do it! The date of Valentine’s Day doesn’t have to be a sticking point. You can find someone to watch your kids on February 13 or February 15 (or any other day). You can have a tradition of going out the weekend before or the weekend after Valentine’s Day. Getting a date night with your spouse is special even if it isn’t February 14. You can still plan something simple and fun for February 14 at home if you want to do something on the day. You could go see a musical or play. Perhaps you love to go to sporting events together and want to go to a game the weekend before Valentine’s Day. Our current tradition is my very favorite. As we have traveled, we have found restaurants we absolutely love that are not around here. One of our very favorites was Giordano’s in Chicago. I LOVED their pizza, and I am not a pizza fan! One year, my husband did some digging and found out Giordano’s ships pizza and they even do a Valentine’s heart-shaped pizza. That has been our tradition since we went to Chicago. I currently have my eye on a Junior’s Cheesecake from New York City…yum. You don’t have to go big. You can order something local and have it delivered or go pick up take-out so you can celebrate at home while your children sleep. Read: Strengthening Marriage for ideas to strengthen your bond as a couple. Keep your marriage strong to keep your family strong. There is no right or wrong way to celebrate Valentine’s Day. The point should be finding a way to spend time together celebrating and building your relationship. If you like to keep things simple and low-key, you do you! If you want something big and fancy, go for it! Keep the focus on the relationship and it will be perfect. Let me add, it can be fun to include your children in some Valentine Day fun. That is great. I would encourage you to not leave it at that. Do include something special for you and your spouse to do together. As parents, we often focus so much on the kids it is easy to neglect the relationship with the spouse. So if you celebrate with the kids, still do something as a couple. Read up on Importance of Marriage here.